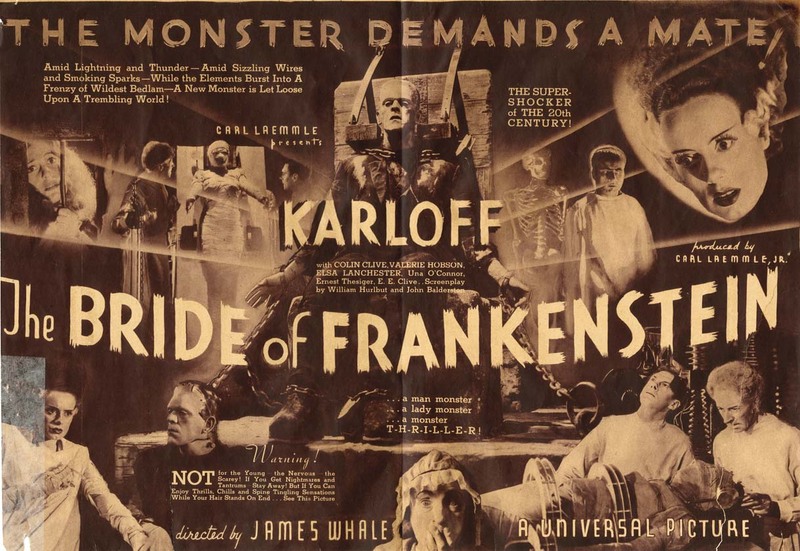 Made in 1935, starring Boris Karloff, Elsa Lanchester, Colin Clive, Valerie Hobson, Ernest Thesiger, Dwight Frye. 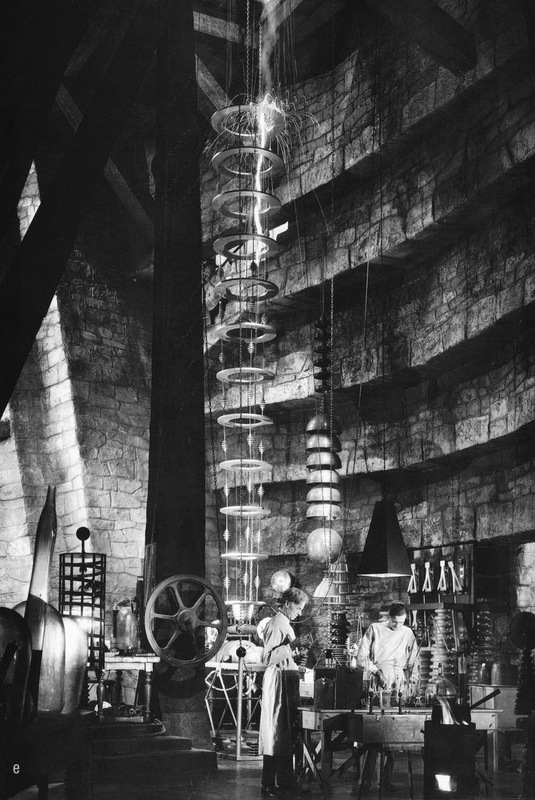 Directed by James Whale. Yes, he’s horrible, but he’s also lonely. 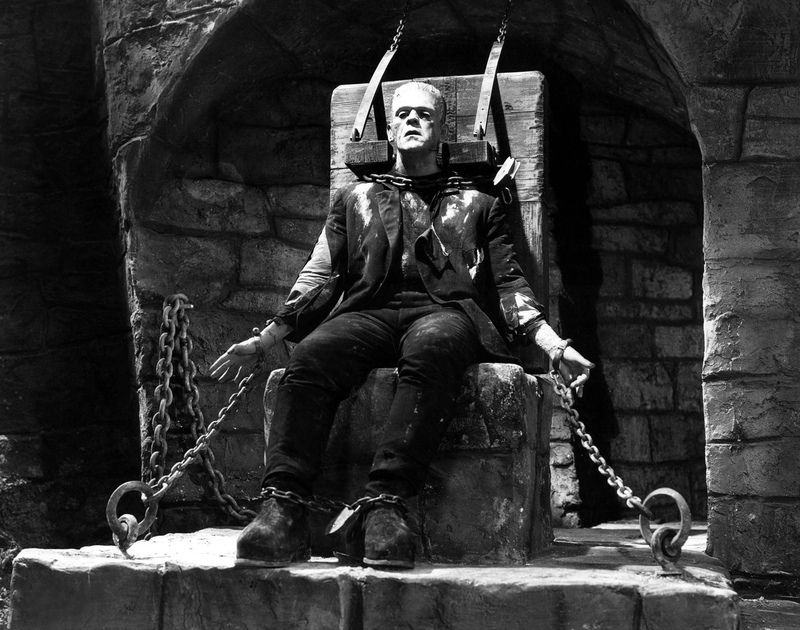 He lives in a castle on a lonely mountaintop. 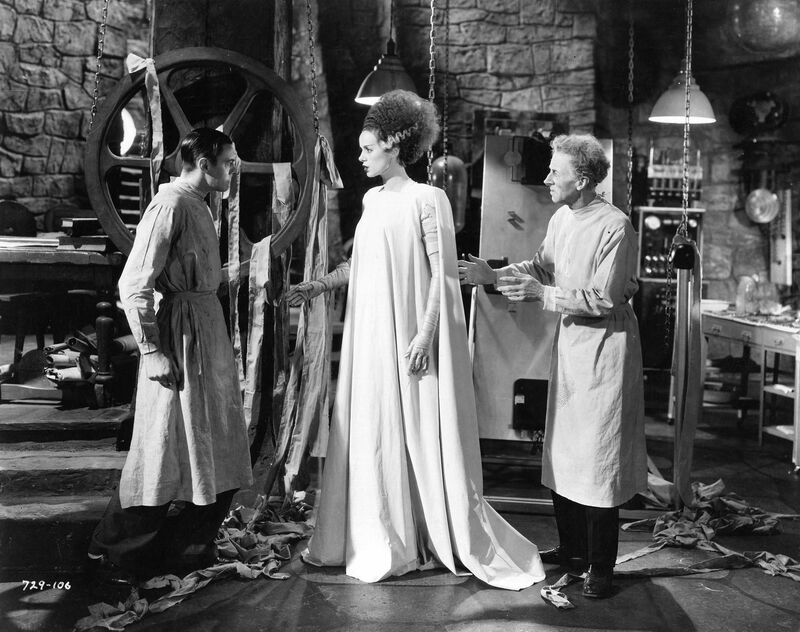 Those two brilliant mad scientists, Dr. Pretorius and Dr. Victor Frankenstein, put their mad brains together and decide the monster needs a mate. 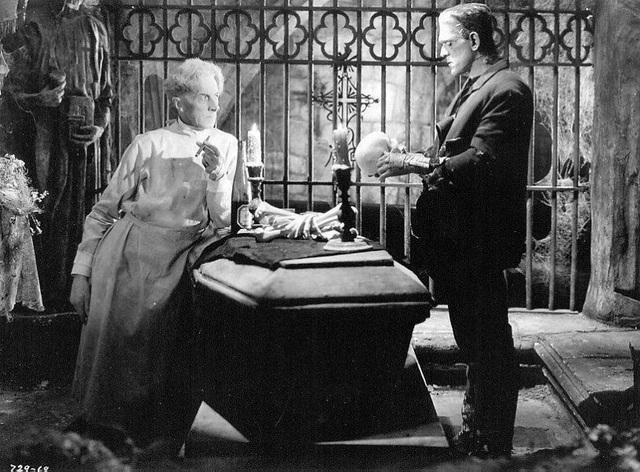 Dr. Pretorius and the monster confer in the crypt about a suitable candidate. 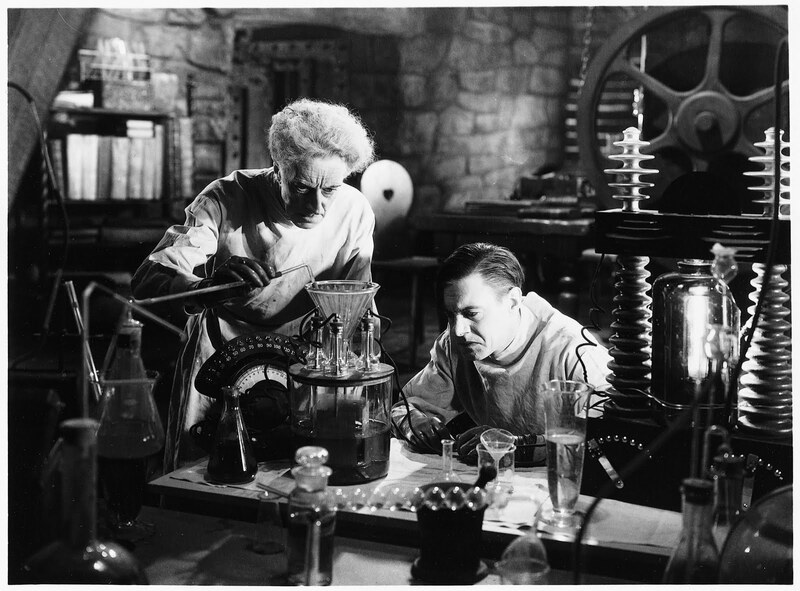 Dr. Pretorius and Dr. Frankenstein at work. Finally, after much work, the finished product. 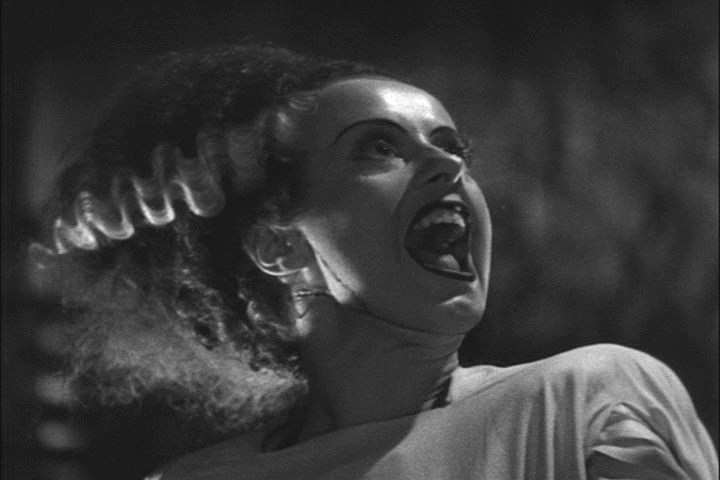 Only two mad scientists could make a woman look like that. I’m afraid she’s going to be difficult. You can’t help falling in love with her, though. 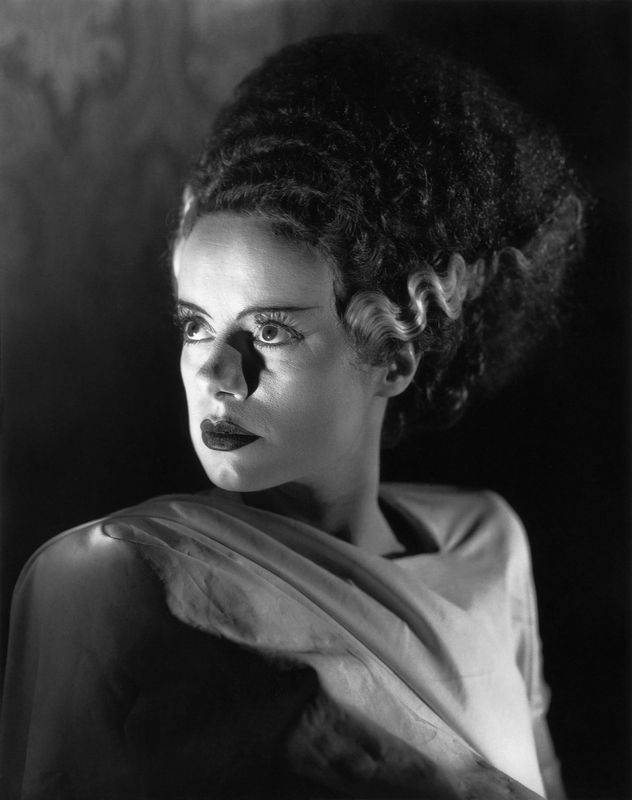 Posted in Uncategorized and tagged Boris Karloff, Elsa Lanchester, The Bride of Frankenstein (1935). Bookmark the permalink.